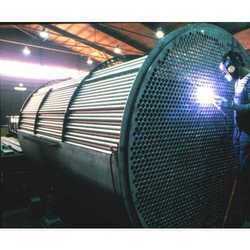 For the purpose of providing the best Heat Exchangers that are available in the market, we engage in using the finest raw materials and modern machines in their manufacture. Owing to this, the offered product has a longer functional life and offers commendable performance. In addition, we offer this product in the market at the best rate possible, making it highly demanded.